When I first saw them in 1986 virtually nothing had been written about the 18th-century murals and no photographs existed. To see them, you had to travel to Tibet, find the pond behind the Potala Palace, cross over a small bridge into a willow-shrouded island, and then climb up to a small dark room on the third story of the Lukhang temple. Even after this, you only see fragmentary glimpses of the murals, glimmering in darkness behind chicken-wire screens,” says writer-photographer Thomas Laird. But he was travelling with some well-known writers on Tibetology and Buddhism such as Heather Stoddard, Robert Thurman, Jakob Winkler. 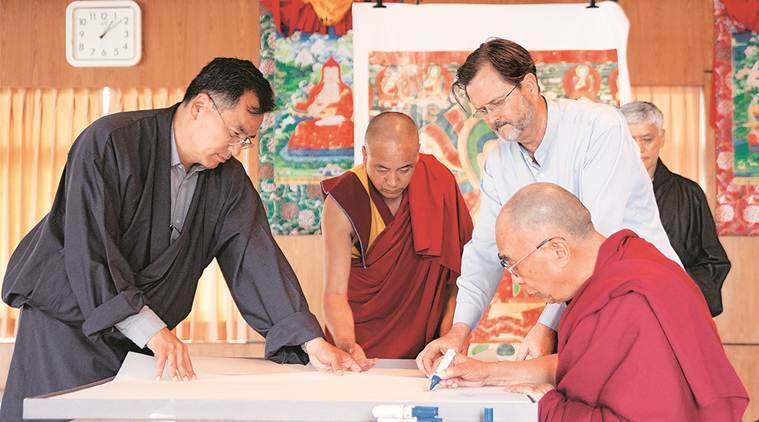 The American writer-photographer was in the Capital at the India Art Fair (IAF), for his sumo-sized book Murals of Tibet, where he documented over hundred Buddhist murals across temples and palaces. German art book publisher Taschen collaborated with Roli Books’ CMYK Bookstore for the exhibit at IAF. The book comes with gloves, and a foldable stand designed by Pritzker awardee, architect Shigeru Ban. The 23-kg book has life-size images of the art work. Along with it, is a quarter-size book with text and captions that act as a guide. Laird was one of the first foreigners to be allowed entry into Tibet in the mid-’80s. He knew nothing about the murals. His 35 years in Nepal helped him understand their importance and their influence on the Dalai Lama. 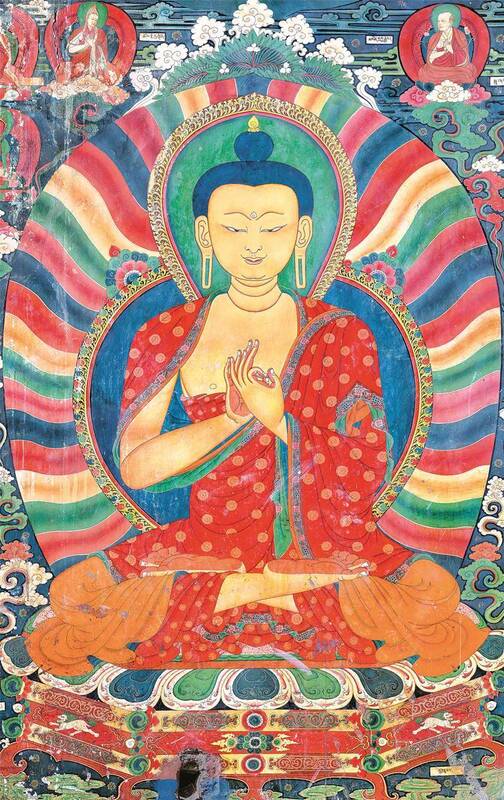 “The murals are the symbol of the Buddha within and the truths of the dharma. In my discussions with the Dalai Lama, I could grasp the deep spirituality in the murals,” says Laird, who first met him in 1993. Hence, he decided to spend a decade documenting them in 50×70 cm images. Each of the limited edition tomes is personally signed by the Dalai Lama. His previous book is The Story of Tibet: Conversations with the Dalai Lama (Atlantic, 2007). “If you go to these rooms in temples and palaces and take a snap, you’re not going to see anything as the rooms are dark and the paintings are covered in glass cases. You’ll look at the images in the book and say it’s just a photograph, but that’s not it, this is multi-image capturing and then rendering it together. I am painting with the camera, and my work makes the invisible visible,” says Laird. 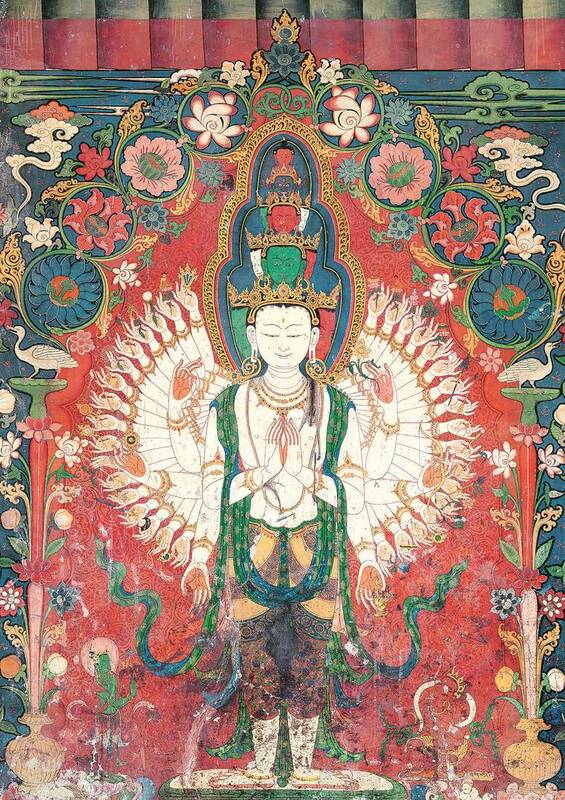 Since 2008, he had been working on these murals, spending eight hours with each, over 13 sites across Tibet. The book takes one on a route that might have been followed by pilgrims, starting at Drathang and continuing through important monastic sites of Central and Western Tibet. “It’s not a dream that we could have in 19th and 20th century, its a 21st century vision,” he says. In 1986, he had worked on a book which had sketches and details of the murals but did not publish it as he was embarrassed that there were no proper photographs. “I felt frustrated that here is a chapter of world heritage and an important part of the Tibetan culture and I can’t show it to the world through my photographs, and this urged me to create perfect images of these murals,” he says. And in this book, Laird has done the exact by reproducing them digitally. 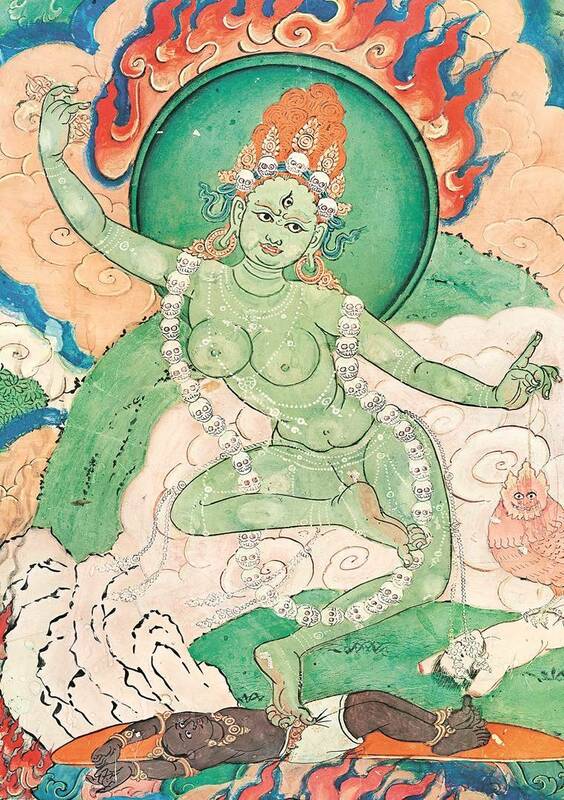 The thousand-year-old murals in Tibet — the oldest surviving — illuminate the history, mythology, and design of the land. Tibetan artists have encoded feeling and meaning of Buddhist ideals, theories, and practices onto these walls using black soot lines, ground gold, and mineral pigments. The society then was made of nomadic yak herders, who were illiterate and spent their life outdoors. They would occasionally stand in front of a mural to listen to monks decode the images through oral commentary. His interest in Tibetan arts and culture cropped up after his first visit to Nepal in 1971, where he met Tibetan refugees, and fell in love with the Himalayas. Laird is now working on printing life-size versions of about the murals on Belgian linen, and will exhibit them in Japan, France, Germany, and England.